The brains of the light is a Microchip PIC18F2550 microcontroller, which stores colors and other settings in it's EEPROM. 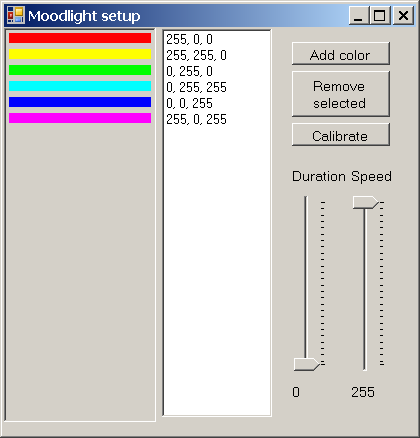 The microcontroller also receives color updates from a computer and drives the 3 colors using the PWM method. The light is using the highest power RGB led I could find as the light source, a led from Lamina Ceramics, the Atlas RGB led. 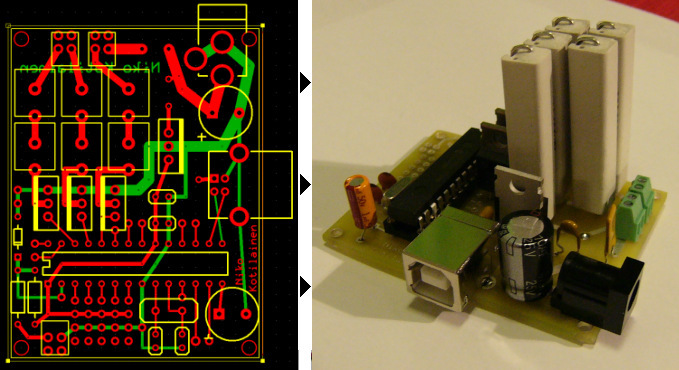 The project shares the PCB and the firmware with my other USB project, the USB oscilloscope. Because I gave out these lights as christmas presents, the software has to run also on Windows. Thus I've decided to write it using C# so that it can be run on Linux (using Mono) and on Windows. Last update: 13 Feb 2007. Questions? Comments? Feel free to email me.